Do you spend all weekend on the slopes, even in heavy snow where the visibility is limited to the edge of your board? Then the 686 Tall Smarty 3-in-1 Cargo Snowboard Pant is for you since it provides both a waterproof outer layer and a warm, fleece inner layer. This men's tall snowboard pant is also two inches longer than the regular-length 3-in-1 Pant, ideal for taller guys. The Duracore® fabric has an infiDRY® 20K waterproofing rating, fully taped seams, and a removable inner layer that no one will know is actually part of your ski pants if you wear alone. The Smarty 3-in-1 Cargo Pant is designed to be super waterproof, so it's also designed to be super durable, with features like extra strong thread, an anti-drag hem design, wrapped side seams, and reinforced inner ankles. The Duracore® fabric is designed to last a lifetime, field-tested at resorts across the world. These are specially designed for tall guys, with an inseam two inches longer than the standard fit. 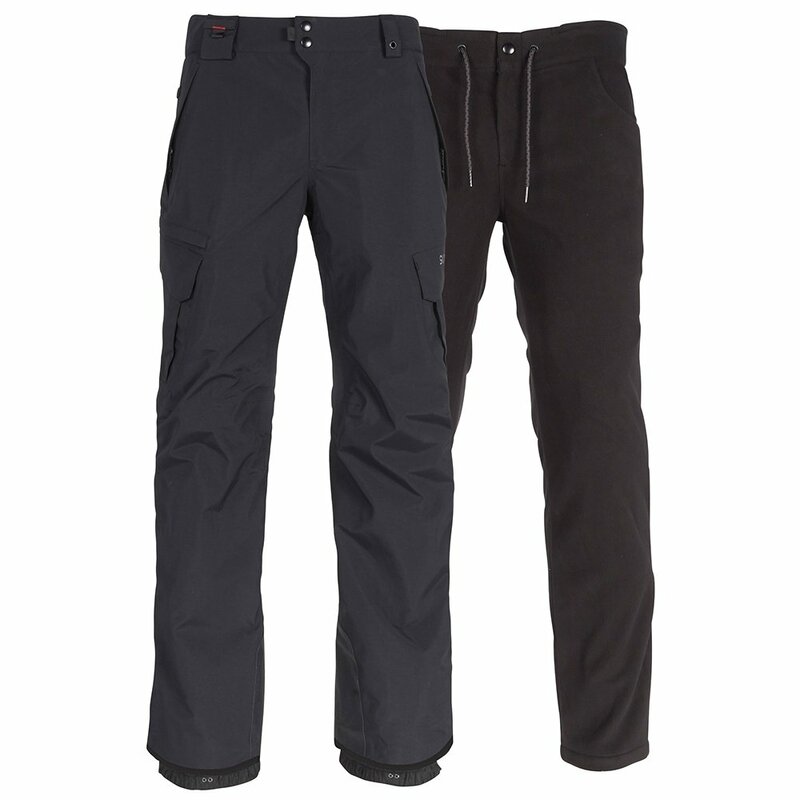 Both the outer layer and inner liner have a versatile cargo-pant design, perfect for on- and off-mountain winter wear. "What's the inseam length on these pants? " "Thank you for your inquiry. This men's tall snowboard pant is two inches longer than the regular-length 3-in-1 Pant. We hope this information helps! "